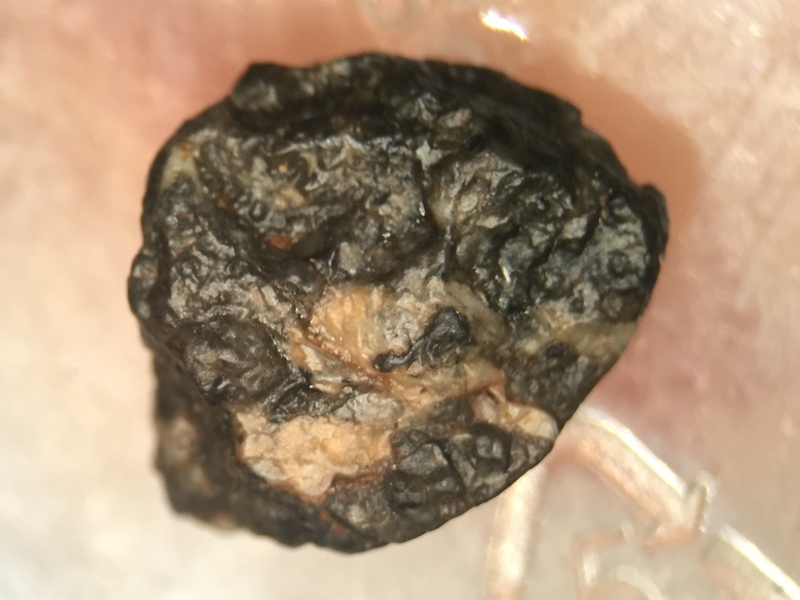 I found this ~1 gram stone in December of 2015 in Nevada and had it set aside with 3 – 4 other odd rocks I picked up that day. There were very few rocks in the area, so I pocketed anything that looked remotely interesting. Fast forward about a year: I was clearing up, and went through the ‘maybe meteorites’ on my desk from some past hunting trips. I threw out all of the others, but…the smooth side on this tiny rock bugged me. It really looked like old fusion crust. But the stone had big white crystals sticking out of the other side and looked like…granite, if anything.. Slim odds it was anything, but…eh. While putting some things together for the Denver show, the baggie caught my eye, and I threw it in my pack. 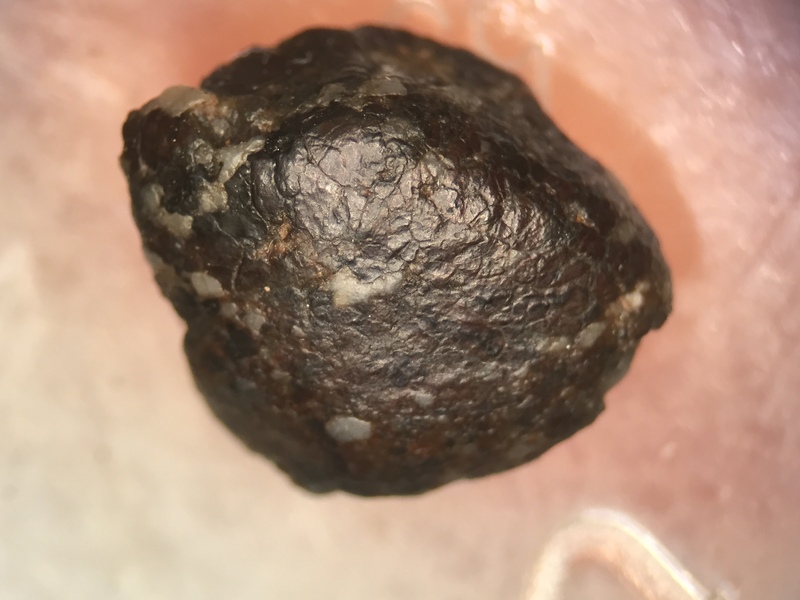 It was almost too small for the XRF, but Blaine Reed was able to quickly and non-destructively confirm that it is in fact a meteorite!